On 23rd February the House of Lords considered the Government’s Neighbourhood Planning Bill at Report Stage. 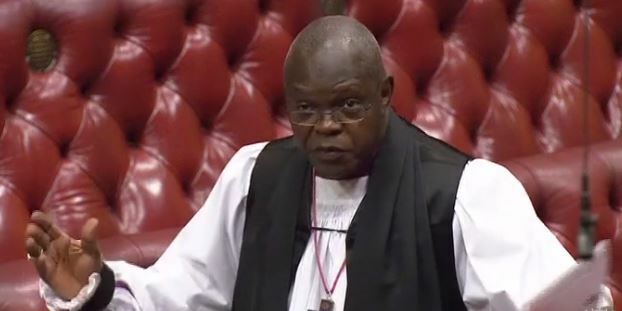 The Archbishop of York, Most Revd and Rt Hon John Sentamu spoke in support of an amendment from Baroness Parminter on new towns. Baroness Parminter said “The amendment introduces the principle of localism to the New Towns Act to enable the delivery of the highest quality new garden villages and towns by locally accountable elected local planning authorities rather than, as at present, any such development corporation being established on the initiative of a local authority and agreed by the Secretary of State”. The amendment was withdrawn after debate and following assurances from Government. The Archbishop of York: My Lords, I spoke at Second Reading about building flourishing communities, not just houses, and emphasised the contribution of affordable housing and green spaces to communal life. If land has been compulsorily purchased, surely the powers need to be given back to the local community to decide what kind of housing will go there. The Government have been very good at taking measures to increase the supply of affordable housing. However, the number of completed social rented homes has decreased from just under 40,000 in 2010-11 to just 6,550 in 2015-16, and affordable housing completions more generally, including other tenures, are at the lowest level for 24 years. The recent government housing White Paper showed a greater focus on homes to rent and it is important that that includes genuinely affordable social homes to rent, which is the only affordable housing tenure suitable for those on the lowest incomes. Affordable housing not only benefits individuals who would otherwise be unable to secure a home but contributes to the diversity of local places, encouraging interaction across social boundaries. Securing a mixture of tenures in local development enables different types of people to meet each other every day, rather than being shut behind gates. Derwenthorpe in York, a development by the Joseph Rowntree Housing Trust, is a good example of integrated housing provision on one large estate. Why was it done? Because the local authority had some say. The amendment would allow us to ensure that the example of Derwenthorpe can be replicated in many different places, so I support it. Lord Bourne of Aberystwyth (Minister): My Lords, I thank noble Lords who have participated in the debate. I thank the most reverent Primate the Archbishop of York for his very helpful tour d’horizon. Something occurred to me regarding what he said and the recent work on the bridge at Tadcaster. He rightly talked about the mixture of tenures that is in the White Paper, affordable housing and a sense of place and community. We have broad support for this amendment. I thank him most particularly. I thank the noble Baroness, Lady Parminter, for moving the amendment so effectively in the absence of the noble Lord, Lord Taylor, who, unavoidably, is not in his place today. I am sympathetic to the case she made and to the points made by the noble Lord, Lord Best, about the importance of garden villages and towns. We have of course initiated a programme extending to 10 garden towns and 14 garden villages. I thank my noble friend Lady Cumberlege, who rightly said that there are examples such as Poundbury that should act as signposts for what we can accomplish. I think there was general support for this measure. I understand the points made by the noble Baroness, Lady Young—I applaud her for the work she has been doing on ancient woodlands—who said that it has to be done with consideration and sensitivity. I support the concept, as do the Government, as outlined in the White Paper. We are strongly of the view that this should be put in local control, so I am very sympathetic to the amendment. I would like to discuss the matter further between now and Third Reading with the noble Lord, Lord Taylor, and indeed the noble Lord, Lord Best, because they have great experience in this area—with an undertaking that I would really like to do something on this, as would the Government, and return to it at the next stage. This has been a particularly enlightening debate. There was clear support across the Chamber for taking action; there are lessons that need to be learned, but strong examples of what can be achieved. I hope that, with that assurance, the noble Baroness will withdraw the amendment. However, I would be very happy to discuss the issue further with the noble Lords, Lord Taylor and Lord Best, and indeed any other noble Lord, with a view to coming back on Third Reading with at least a report on the discussions, and perhaps firmer action based on them. Baroness Parminter: I thank noble Lords from all Benches, including the most reverend Primate, for supporting this very important amendment. It is quite radical: the Treasury is allowing an uplift in land values to deliver thriving communities every bit as good as those in other parts of the country, to which the noble Lord, Lord Best, referred. Garden villages and towns will be an important tool in delivering the housing that we need in future, as will good-quality neighbourhood plans. They can work together in the right places—a point well articulated by my noble friend Lord Teverson. I am most grateful to the Minister for his commitment to further discussion with my noble friend Lord Taylor and the noble Lord, Lord Best, between now and Third Reading. We hope that will result in a firm commitment to an amendment. On that basis, and on that basis alone, I beg leave to withdraw the amendment.